The outspoken CEO of the "Big Baller Brand" was a guest on Fox Sports 1's "Undisputed" Thursday afternoon and had a lot to say about his son Lonzo, LeBron James and the Los Angeles Lakers as they prepared for the trade deadline. Perhaps LaVar Ball is upset about the fact that his son is part of a package deal that includes Kyle Kuzma, Brandon Ingram, and Ivica Zubac. "I guarantee that if they trade my son they will never get a championship". Meanwhile, as the National Basketball Association trade deadline passed today at 3 PM/ET, it appears that his son will remain in Los Angeles for the rest of the season, while the Lakers are now 2 1/2 games out of the playoffs. But today, just hours before the National Basketball Association trade deadline, the Ball father made an appearance on Fox Sports 1's Undisputed to air out his feelings. Zo was expected to miss 4-6 weeks with the nasty-looking ankle injury so he still has at least a couple weeks of recovery ahead of him before returning to the floor. When host Shannon Sharpe pointed out the Lakers are heavily reliant on LeBron, Ball disagreed. "LeBron's hurt, he's getting old". 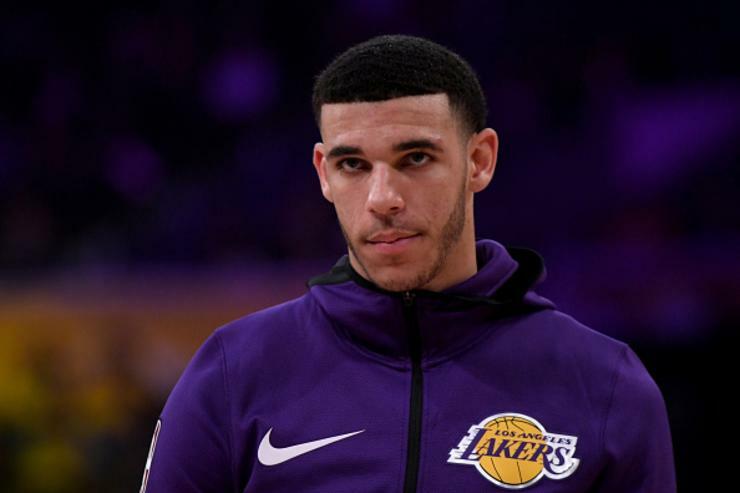 "Everyone who's had confidence in Lonzo just let him go and let him win". Nope, the young Lakers aren't.